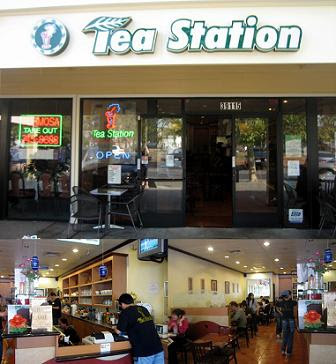 As you have seen many times that I love going to Tea Station. Whether it be in Rowland Heights, Irvine, Monterey Park, or Newark. Soon I will have been to all the locations! Yes, I have been to BOTH in Irvine. lol O=P The one in Newark always has a good amount of people and a lot of workers there. They usually are pretty friendly. The interior is similar to the other ones, but this place is a little smaller. Their Ice Fruit Tea is good and goes great with my Hot Pot at Ninji.